Senior Ashley Greenlee placed third in the 500 meter dash with a time 1:16.32. CT File Photo. Track and Field set multiple team records at the Liberty Flames Invitational Feb. 2. Sophomore jumper Aliyah Newman won the triple jump after recording 12.44 meters, beating VCU’s previous record of 12.29 meters logged by Chaneka Perry in 2012. Senior thrower Camora Sanders continued her stellar season with a second-place finish in the shot put with a throw of 15.19 meters — her second school record set this year — and freshman thrower Shannon Moise set a freshman shot put record with a 14.09-meter throw. 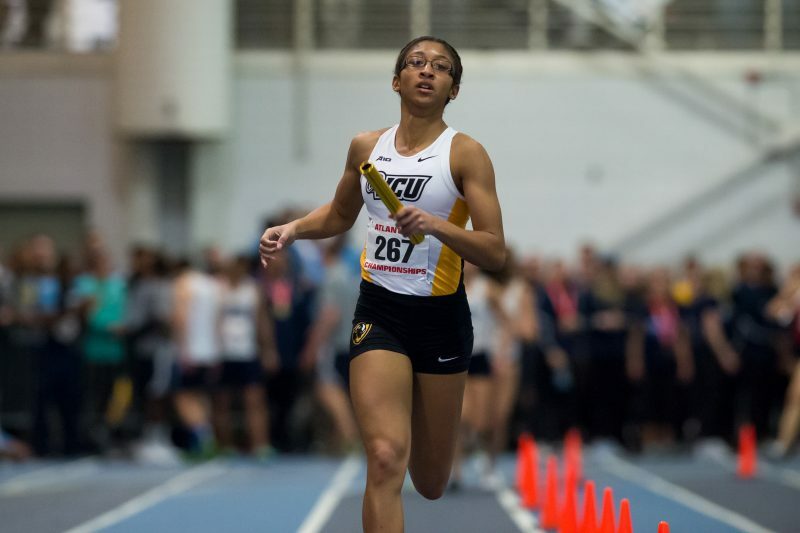 Junior sprinter Kayla Smith finished in second in the 400-meter dash with a time of 55.36 — the best time posted in the event by any VCU woman this season. Junior sprinter Kara Lyles and senior mid-distance runner Ashley Greenlee ran in the 500-meter. Lyles won the event by 0.07 seconds with a time of 1:15.80, and Greenlee place just behind her in third with a time of 1:16.32. Junior mid-distance runners Ashley Brown and Judith White competed in the 1000. Brown finished second with a time of 2:58.86, only 0.35 seconds behind first place, and White finished third with a time of 3:01.06. Redshirt-junior jumper and hurdler Bashir Idris was one of four Rams to break school records on Saturday after he won the triple jump with a leap of 15.12 meters — breaking a record held by Davion Lambert that hadn’t been matched in 12 years. Freshman hurdler JeVon Waller earned a second-place finish in the 60-meter dash with a personal-best time of 6.88. Senior sprinter Jamik Alexander finished fifth overall in the event with a time of 7.03, narrowly missing out on fourth place by thousandths-of-a-second. Freshman hurdler Daiqwaun Faircloth ran a personal-best time of 22.04 in the 200 as he raced to a fourth-place finish. Junior distance runner Lucas Sidle and sophomore mid-distance runner Jordan Fountain both placed top-five in the 1000-meter run. Sidle finished in third place with a time of 2:31.95 and Fountain finished fifth with a time of 2:33.11. Junior hurdler Ian Davis earned a second-place finish in the 60-meter hurdles with a time of 8.15. Davis was joined by freshman sprinter Emmanuel Waller, Faircloth and junior sprinter Chukwuezugo Aguolu on the 4-x-400 relay team that took second place with a time of 3:23.38. 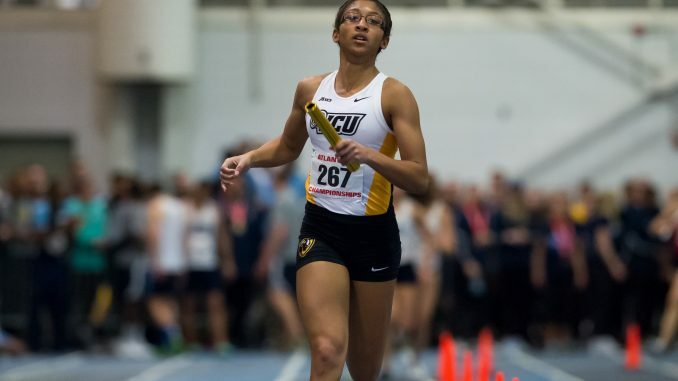 Track and Field will travel to Lexington, Virginia for the VMI Winter Relays Feb. 8-9. Column: Northam talked reconciliation on race. His refusal to resign is contradictory to that.